DETROIT -- Ford Motor Co. wants to win back sales from aftermarket suppliers and boost its dealers' accessories business when the revived Ranger midsize pickup goes on sale early next year. The automaker is partnering with Yakima to offer 150 parts and accessories for the vehicle, including bed racks, tow hooks, tents and paddleboard carriers. Customers in Canada and the United States can order the parts through their dealer and add the cost to their vehicle financing, Ford said. All parts come with a three-year/60,000-kilometre Ford warranty, and extended service contracts are available. Ford says aftermarket suppliers will account for more than half of the estimated US$45 billion customers spend on parts and accessories this year. Offering parts through its retail network should help fatten dealers' wallets and keep customers coming back. 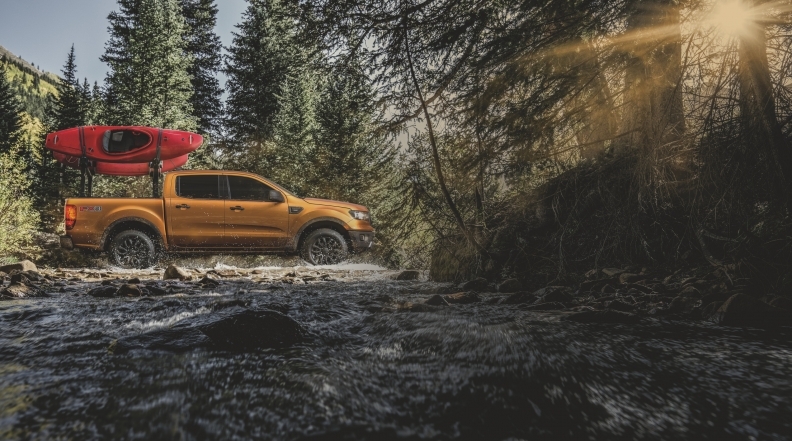 Ford chose the Ranger for the partnership to position the pickup as more of a lifestyle vehicle for buyers who enjoy camping trips or weekend beach excursions. "It's about making each adventure better," Eric Cin, Ford's global director of vehicle personalization, said in a statement. Ford has begun Ranger production at its Michigan Assembly Plant in Wayne, Mich. The vehicle is expected to go on sale in January. Canadian pricing has not yet been announced. In the United States, the truck will start at $25,895 (all figures USD), including shipping, and top out at more than $40,000. That's about the same as the segment-leading Toyota Tacoma, which starts at $25,400 for 2018 models, but more than the Chevrolet Colorado and GMC Canyon. Pricing starts at $21,495 for the 2019 Colorado and $23,095 for the 2019 Canyon. The Ranger's turbocharged, 2.3-litre four-cylinder engine will be able to tow and haul more than the V-6 gasoline offerings from its rivals, Ford says.